Personalised Samsung S8 case. Your favourite picture on the front and back. A wallet case is more than just protection. Imagine, you just went out with some friends to get some drinks. At the time you want to pay you realise that you forgot your purse at home, embarrassing. 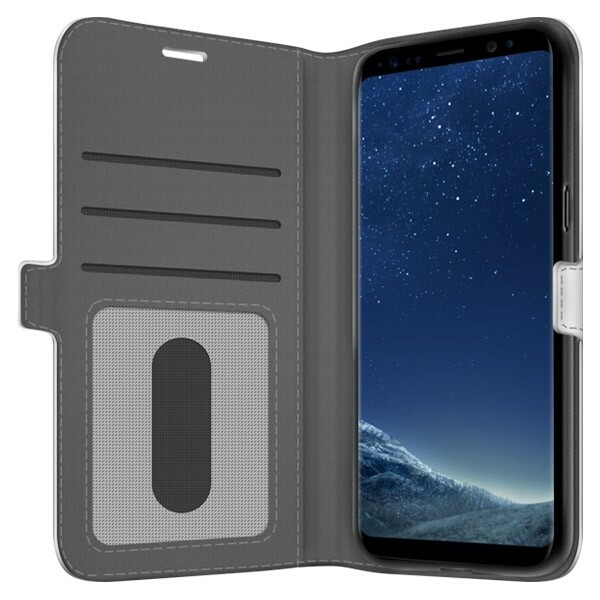 To prevent such situations a Samsung Galaxy S8 wallet case is the perfect solution for you. With this wallet case, you will always have your mobile and money with you. This personalised Samsung S8 case has 3 slots for your cards and 1 large compartment for cash money. In addition to that, this case protects your Samsung Galaxy S8 from bumps and scratches. Thanks to its design all buttons and functions remain accessible.You can still easily charge your phone, listen to music and take pictures anytime you want, without any disruption. 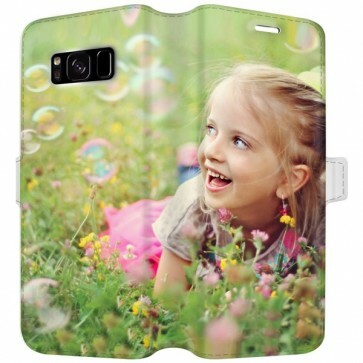 How do I design my personalised Samsung S8 case? 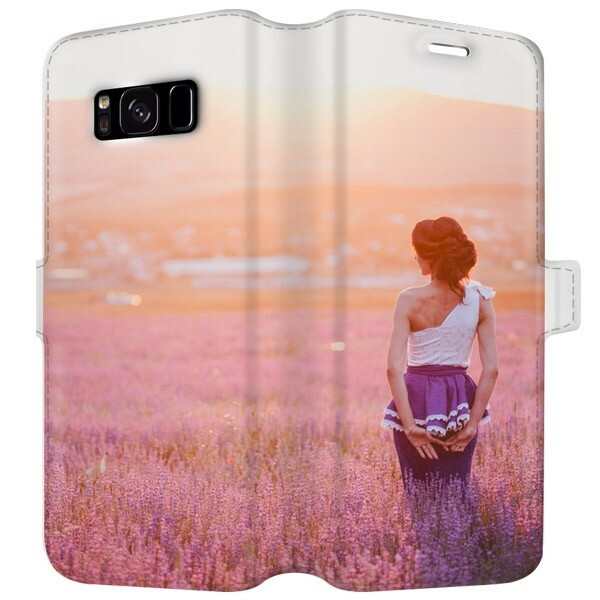 Thanks to our user-friendly customiser you can design your Samsung S8 photo case in only a few steps. Get started by uploading your favourite picture, image or design. You don't have a picture? No worries! You can also use one of our pre-made designs. After uploading the picture you are able to move, resize and rotate it. To make your Samsung S8 photo case look even more unique, you can also add an important text or quote. There are many fonts and colours you can choose from. In this way, you will receive the personalised Samsung S8 case exactly as imagined! Once you are satisfied with your design you are ready to place your order. 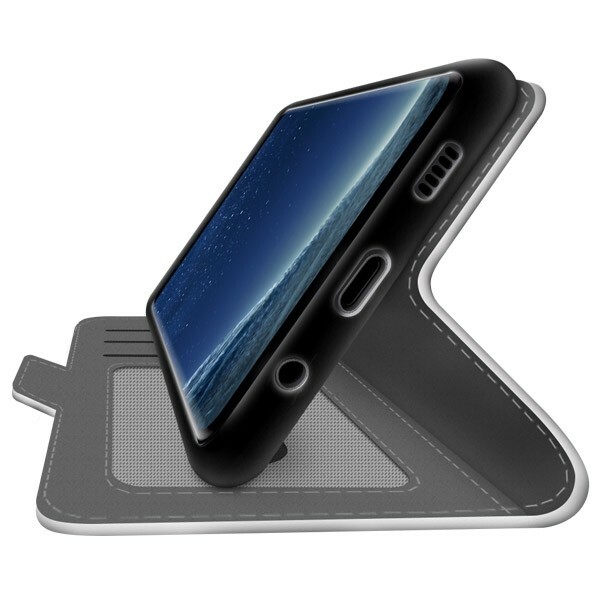 As soon as we receive your order for the Samsung Galaxy S8 wallet case we will start producing it as quickly as possible. Your design will be printed on the personalised Samsung S8 case using high-quality, scratch-resistant ink to ensure the best result! Your Samsung S8 photo case will be produced and shipped within 24 hours! You still have questions regarding the case or the ordering process? Feel free to contact us via support@gocusotmized.co.uk. Our support team will be happy to help you!